While there are countless sources of advice and marketing tricks on how to sell ebooks and books online on Amazon, the most important factors of all are to have a good product and to attract positive attention to your books. Likewise, if you have published more than a couple of titles, perhaps it has been some time since you analysed what you are really doing to attract attention. These summarises the external factors why BooksAvenue not selling books now. It’s true that BooksAvenue started with book sales. Yet it is not sustainable in Singapore from different perspectives. Rather to paraphrase this, it is totureous and inefficient to compete with online retailers as well as physical bookstores. That competition itself, is an uphill challenge for us on many levels. The other factors also include the buyers’ willingess to spend which resulted in profit margins, the book conditions, economic of scale, as well as the availability of title choices. At the end of the day, it defeats the fundamental purpose of BooksAvenue: Bringing people closer to literature and art. We rather be building bridges to minimise the gap between readers and books efficiently, than to exhaust our resources to fight against profit driven business and corporations. With a more focused and specialised scope, BooksAvenue believes that this will be the better way to bring people closer to the world of books. Previously, we discussed how to have UNLIMITED FREE reads on Kindle in Singapore and Malaysia. In this post, we are going to talk about how to buy Kindle books in Singapore as well as buy Kindle books in Malaysia, both countries use the same method, but let’s just refer to Singapore. 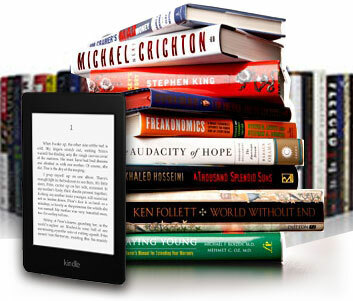 This tutorial will be showing you on how to buy English Kindle book from US Amazon. With e-commence portals such as Lazada and Qoo10, you can now easily get a Kindle Device. But books in Amazon costs money, so can we still do the ultimate way and read for FREE? Glad that you asked! Good that you have been following us and bookmarked us for future updates to know this today. You can read on Amazon for FREE apparently. AND no, it’s not a scam or some click bait. 3 steps, 3 legit steps. All you need is an Amazon account (does not require subscription to Amazon Prime or Kindle Unlimited). Step 1: Register an Amazon account. Step 2: Get a Kindle E-reader. I assumed you would have purchased the Kindle either from Amazon or through one of the e-commence portal. No Kindle? Read this: If you have NOT purchased the Kindle device, you can download the free Kindle Reading App from iTunes or Google Play Store. The free books works with both the Kindle device and the reading app. After creating an account, go to Departments > Books & Audible > Kindle eBooks. Then search for “free Kindle books”. You will then see a list of books that say “Kindle Edition” $0.00. You don’t need to be a Prime or Kindle Unlimited subscriber. And you don’t need a Kindle either. Now an extra step, this has been my ultimate secret for a few years now and every day I have been browsing it constantly for the latest free books. Freebook sifter is the answer! Its is a web application where it scans the entire Amazon catalog and displays the link to the free books on its web site. It sorts the books into 30 different categories such as Parenting, Investing and Friction. It also proudly displays the number of free books you can actually download. So there you go, an Amazon account with free. Now if you would like to read PAID books for FREE, there is another way too. Kindle Unlimited Membership Plans are available with 6, 12 and 24-month membership plans. AND there is a 1 month trial period available before paying. So the idea is to read all you can for FREE in that 1 month. A Mother’s love is something that no one can explain, It is made of deep devotion and of sacrifice and pain, It is endless and unselfish and enduring come what may. For nothing can destroy it or take that love away—Helen Steiner Rice. This is something not as simple as a sentence or two. Surely not an element or a simple emotion, a feeling that derives from the given relationship by birth. It is more than just platonic selfless care and concern for another’s well being, possibly even at the cost of caregiver’s expense and safety. Is it an obligation due to the arrival of a new life? Or a conscripted responsibility which is out of will? From the spectrum of logic, I do not think so and certainly not. Ever. 18th Nov this year on a peaceful glorious morning, a little prince is born. A magical event to witness the beginning of life, the start of another chapter in life, surely another significant milestone to be marked and more exciting times ahead. Even before the arrival of the baby prince, daddy and mummy have committed and promised each other to give only the best to ensure his growth and well being. That commitment and decision is the epitome of mother’s love. And that prince? He is my son. American history buffs, this one’s for you: Howard Dorre, who’s reading (and blogging about) a biography of every U.S. president, has published numerous posts on arcane-yet-fascinating aspects of the presidency. Bookmarked for my own future reference! This is a good article on why we should read, not just the excerpts. In fact, it applies to all, not just students only. This seems like a list that should be written by Captain Obvious, right? Of course students should read whole books from beginning to end! But does that really happen at your school? Or does the workroom copier groan under the load of stapled packets with “passages” and related multiple-choice questions? Are students unable to find their library books because they haven’t seen them in so long? Students deserve time during the school day to read books, one page after another, journeying with the author through every scene to the end of the book. Why?